Industrial Hygiene News features products and services that help keep employees safe and the organization OSHA compliant. Industrial Hygiene News informs and educates occupational safety and health professionals dealing with workplace safety, emergency response, indoor air quality, hazardous materials handling and workplace ergonomics issues. Commercial Carrier Journal is a fleet-focused brand, reaching fleet executives and managers in the freight transport business. The editorial content provides business solutions and industry news, covering topics such as technology, equipment, regulations, recruitment and retainment. For publishers, scale matters. Audience size is the key to unlocking advertising revenue, with larger audiences translating to greater marketing dollars. 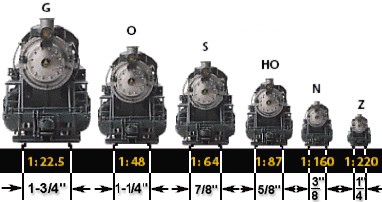 Still, scale isn't everything. It's just the starting point. Today, everyone has scale, albeit with subtle differences. The key, then, becomes what you're scaling and understanding how to use those assets in innovative ways. By doing so, publishers carve out value beyond audience size and offer real differentiation to advertisers. It's these unique areas that attract them and encourage investment. Publishers must go beyond scale to monetize and think like marketers, and there are three assets, in particular, that publishers can use to succeed. While content is a publisher's most abundant asset, many tend to under-monetize it. With rare exceptions, paywalls don't work — 85% believe that all online content should be free — so marketing and advertising dollars are even more critical for publishers, with most focusing on display ads. But display, like gated content, isn't a long-term answer. While display spend is up to $1 billion, with double-digit growth, those dollars are mainly bucketed for Google, Facebook, Yahoo, Microsoft and AOL. It's tough to claim a large piece of the pie, and display is evolving quickly into programmatic. Bottom line, publishers can't live by display alone. If it's your only form of revenue, you're at risk. The good news is the potential for multiple content-based revenue streams, allowing publishers to create more effective client packages while limiting dependence on any one form of ad revenue. An obvious example is native advertising. This is a key area for publishers to exploit moving forward — and more plan to, with native spend expected to climb to $4.57 billion in 2017. While there are reasonable concerns for publishers around native's scalability, incorporating it into their content strategy will only deepen interest from advertisers and marketers. Community means onsite engagement, not size or scale. Community is a valuable asset for advertisers looking to enter brand-relevant dialogue. Think of engagement as another content stream. Marketers have already started leveraging community via social, but for the most part, a site's users haven't interacted with brands in their comments section — until recently. Gawker has launched a new commenting system that lets brands penetrate and own part of the dialogue. They're also allowing readers to compete with Gawker's own editorial team, submitting user-generated articles. This could evolve into a "reader-first" approach to native advertising, with content and community strengthening one another. It's an exciting development, but like other monetization strategies, it hinges on a powerful and passionate community. That's what makes an online community unique and necessary. There's an ongoing debate on whether or not publishers can also be e-commerce destinations. Everyone from Conde Nast to Demand Media to Thrillist has announced investments in e-commerce, and with good reason. The global e-commerce market topped $1 trillion in 2012, and commerce-driven content is growing faster while even performing better than traditional content. Content and commerce works together, not separately. But striking a balance can be challenging. 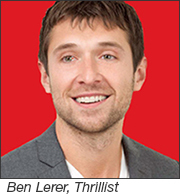 "Understanding editorial and merchandising curation is not the same," said Thrillist founder, Ben Lerer. "Most of these media companies don't have a single merchandiser in the building." Meaning, it's difficult for publishers to find a profitable e-tail model without a long-term merchandising program or dedicated team in place. This, though, requires huge investment. So there are other alternative commerce strategies that publishers can use. The answer for many is as simple as driving commerce-based revenue through affiliate marketing, integrating buy links into content and earning referral fees as they drive sales online for advertisers and partners. It's effective for premium publishers, as well as niche/long-tail. Quality content, a passionate community and relevant commerce integrations may be individual assets for publishers, but they work together as a "secret sauce" for monetization. It's that 1 + 1 + 1 = 5 that generates revenue opportunities over the long term. With the rise of programmatic trading, digital advertising has become more reliant on automated systems and technology than ever before. With that in mind, the Interactive Advertising Bureau has introduced a new certification program for digital ad operations professionals. The IAB says the Digital Ad Ops Certification will be the first credential of its kind for people working at digital publishers, ad agencies, trading desks, demand- and supply-side platforms, and ad exchanges. It follows the organization's launch of a similar benchmarking program last year for digital sales executives, through which nearly 1,000 have since been certified. The IAB developed the Ad Ops exam with input from more than 24 companies and agencies, including AOL, Facebook, Google, Operative, Rubicon Project, Theorem, Universal McCann and MediaCom. Operative and Theorem are the first to require ad ops teams to take and pass the exam. "This new certification is designed to test digital ad operations professionals' mastery of the intricate processes that drive digital marketing," said Michael Theodore, Vice President of Training and Development, IAB. In addition to serving as a "stamp of approval" for current employees, it can also play a part in the hiring process, he noted. 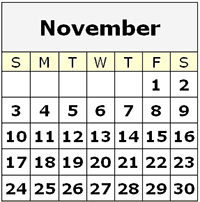 The first window for taking the Ad Ops test, administered by Pearson VUE, runs from October 15 to November 15, with additional windows slated for January, April, July and October 2014. To be eligible, participants must have at least two years of experience in digital ad operations. The cost is $500 for IAB members and $750 for nonmembers. No formal coursework or training is required to take the exam. Make sure that you document the name of the person actually making the request. A recording of the request or the name, date and time of the person taking the order. The requester's personal identifier (i.e., name of favorite pet, birth month, etc.). The date and time the order was received. If the requester sends an email as the subscription request, keep the email as additional back-up documentation. A complete newspaper requested free carrier subscriber list. The file should include individual names and addresses of requesters as well as start date and expiration date. If the requesters are included with your paid subscribers, the file must clearly indicate which are paid and which are requested subscriptions. Proof of request for an nth sample of subscribers. Proof of request may be telemarketing recordings, subscription request cards, emails, etc. Please keep all requests on file for three years or until the request has been renewed. Carrier payroll information for delivery. If the carrier delivers both paid and requested subscriptions, please indicate the payments for each type of distribution. Request for delivery must be less than three years old. Orders older than three years or for which incomplete request information is provided may be reported as Free Carrier. Review request documentation for completeness and accuracy prior to adding it to requested free carrier file. File all request documentation so that it is easily retrievable for nth selects. Keep track of vacation stops, opt-outs, move-outs, etc., and stop delivery immediately. Verified will review telephone interview forms/scripts prior to use, free of charge, at a client's request. There is no limit to the number of forms/scripts that may be reviewed within a year, and Verified does not require the script to be reviewed. Telemarketing guidelines are available on Verified's website at www.verifiedaudit.com. If you have questions about requested free carrier distribution, please contact Verified at 415-461-6006.